Branson is considered by visitors from around the country as a wonderful family vacation destination as it offers a variety of activities for kids even during the cold days. Even if it’s winter, there are still many things to enjoy in Branson and your kids won’t have time to say “I’m bored.” Live entertainment shows in Branson are all not weather dependent that can be enjoyed even during the cold months. Many of Branson fun places have a variety of themes, but there are several great attractions that can really capture the attention of children. One of the best fun places to bring kids during winter season is Grand Country’s Amazing Pets where a troupe of trained dogs and housecats, plus a wily monkey named Frankie are sure to entertain kids and adults alike. This amazing show of different kinds of animals has a lot of audience participation and kid-friendly interaction, which gives kids a lot of laughs and makes everybody in the audience feel like a part of the show. Another top attraction show in Branson which is ideal for kids is the Acrobats of China. The stunning acrobatic acts, mystical magic and unique talents are featured in this production that will keep the little ones spellbound. Attractions that are great for kids are easy to find in Branson as the place strives to provide a family friendly vacation for all ages. One of the top attractions in Branson which is not weather dependent is Silver Dollar City that hosts a number of festivals year round. 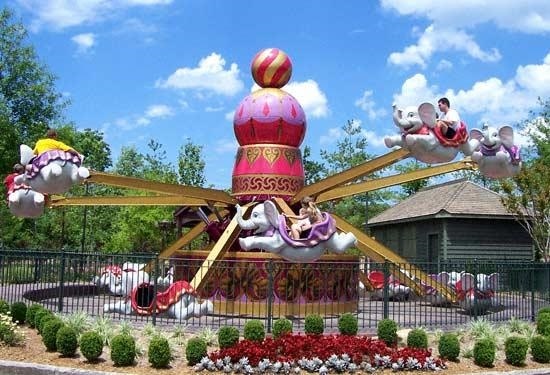 Silver Dollar City is home to The Grand Exposition where kids can enjoy 10 family rides including the Magnificent Wave Carousel and The Royal Tea Party. Fireman’s Landing which is the newest section of the park is a nice attraction that offers a thrilling and exciting activities to children. You can also step into Grandfather’s Mansion, where you will find mirrored walls and slanted floors t at will make you feel like your world is upside down. Festivals such as National Kids Fest and World Fest are also celebrated in this amusement park. Other great kids attractions in Branson include thrilling rides with the go-karts and bumper boats at the Track Family Fun Parks. In addition to go-karts and bumper boats, your kids can enjoy carnival rides, play laser tag or mini golf or try their luck in the arcade. Kids Kountry by The Track is another attraction for kids in Branson which specializes in rides geared towards kids 2 to 7 years of age, including go-karts and pint-size amusement rides. The park also offers high-speed go-karts, arcade games and more. The White Water Park, the only water park in Branson has several attractions that cater to children including Little Squirts Waterworks, Rain Tree Island and Splash Island which are ideally designed for little ones. Even during the cold season, there are many things to do in Branson because some of the attractions that are ideal for kids are not weather dependent.